In collaboration with Associação Cultural Videobrasil, Delfina Foundation presents a compilation of video works selected by João Laia, member of the curatorial team of the forthcoming 19th edition of the Contemporary Art Festival Sesc­_Videobrasil. Tales from an Imagined City brings together the most pressing topics that emerged during the last Videobrasil Festival, such as subjective experience, identity and desire, and investigates how these can be influenced by urban environments. The private view starts at 17.00, so you might have time to drop by before heading to the White Cube. In collaboration with the Bermondsey spot, IESA (International Studies in History and Business of Art & Culture) has organised and presented a series of talk over the last three years. The talk taking place this Tuesday will focus on the various forms of markets and investments in Contemporary Art. Art has long been considered an investment of passion more than a simple commodity. Nevertheless developments over recent years have demonstrated how art has more and more become synonym of wealth and a commercial good with a precise economic value, besides the added cultural one. Speakers from Sotheby’s, the Art Newspaper and more will shed light on the complex mechanisms of the art market. Being aimed at art students the talk is free but booking is required. In relation to the current show Horst: Photographer of Style the V&A hosts a lunchtime talk (13.00 – 13.45) exploring the relation between the Horst P. Horst and the French capital. In Horst’s passion for Paris Susanna Brown, exhibition curator, will recount the photographer’s early career in Paris, unveiling stories behind the conception and realisation of some of his most iconographic pictures. The talk will be held at the Lydia & Manfred Gorvy Lecture Theatre. The sculptor of A Clockwork Orange’s Korova Milk Bar lands in the Royal Academy. 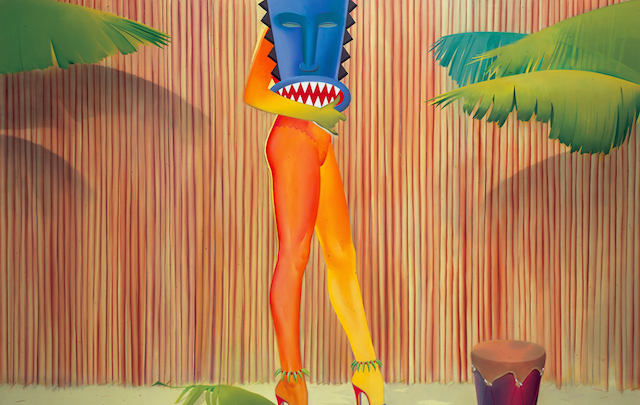 Allen Jones RA is a survey of Jones’ work, spanning his entire career, including pop prints and paintings and the infamous figurative sculpture, from the late 60s up to the present day, all studies on the concept of forniphilia – which turns women into items of human furniture – drawing inspiration on the imagery of fetishism. 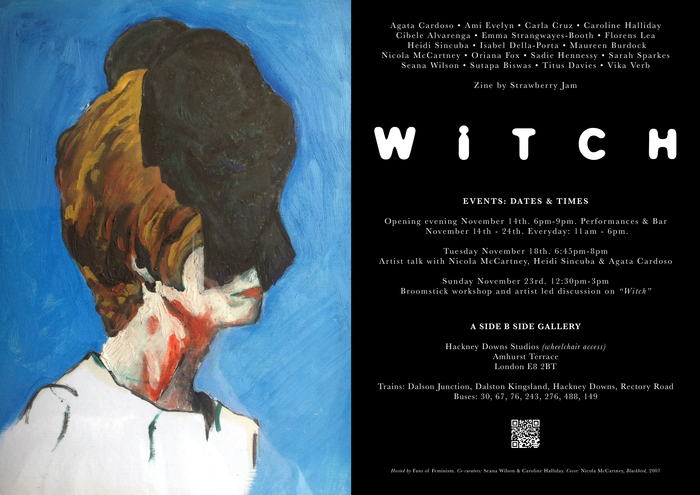 A side B side Gallery, at the Hackney Downs Studios, presents Witch, an exhibition that seeks to explore the figure of the so despised women persecuted in the everyday, across centuries and across continents. In popular imagery, witches are often seen as a bad presence, connected to the devil, and therefore represented as old and ugly, or as seductresses. Misogynist ideas about women were often at the base of such representation. The show explores to which extent these stereotypical representations are relevant in today’s culture through the works of well-known and emerging feminist artists. Witch is curated by Caroline Halliday and Seana Wilson from FANS OF FEMINISM. On the same day, Turner Prize nominee Ciara Phillips will be in conversation with Emily Pethick, director of The Showroom. Ciara, who works with all kind of prints, will discuss her collaborative projects that often transform galleries into workshops involving other artists, designers and local community groups. Tickets from £12 (concession available).